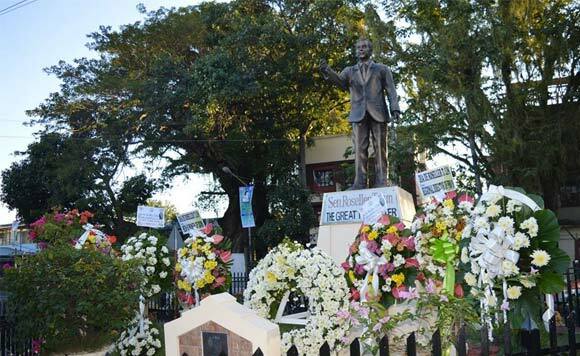 The province of Zamboanga never gails to commemorate the birth anniversary of the late senator who was once dubbed as The Great Filibuster. Mayor Beng Climaco recently led the commemoration of Dia de Roseller Lim marking late senator Roseller T. Lim‘s 104th birth anniversary. Together with the Lim family, the Politiko took part in the Saturday afternoon mass at the Carmelite Monastery, followed by a ceremonial wreathlaying at the RT Lim monument.